The Lower Elementary Cottage: Wanna Be Pen Pals? 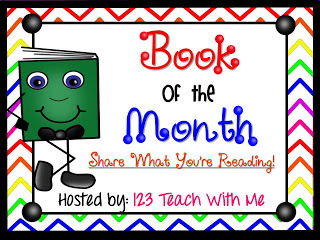 Book of the Month! Wanna Be Pen Pals? Book of the Month! I'm still feeling pretty icky, so I'm keeping this short today. I finally got a flu shot for the first time in a decade, and the doc never mentioned you shouldn't get one if you aren't feeling well. I was getting over a small cold, and the flu shot sent me into chills, a low fever, and a sinus infection on Friday. No fever or chills, but my nose is a mess now. Now for the Book of the Month Club! 1) Merry UnChristmas by Mike Reiss- A story about a town where it's always Christmas and it's not special anymore, so the little girl counts down to "UnChristmas" every year when she gets to finally go to school to see her friends and eat TV dinner instead of a big feast. My students' reactions to the story was priceless! There was lots of "That's wacky!" and "why wouldn't you like Christmas?!" 2) The Night Before Christmas by Jan Brett- I love her illustrations and I have about a dozen of her Christmas/Winter themed books. I even have the CD's to go with them so the kids can use them in the listening center. So I'm counting all of the Jan Brett books in this little section, there are too many to list! 3) Snowmen at Night- My newest favorite! It's all about what the snowmen do at nighttime when everyone is sleeping. Super cute! 4) Pete the Cat Saves Christmas- My students were obsessed with the other Pete the Cat books, so I just had to get this one. I have it hidden, so they don't even know about it yet. I need to download the song first so it has the full effect! What an ADORABLE gingerbread house!! I hope that you feel better soon. Flu shots aren't fun to begin with, but adding sickness prior to flu shot with it is not a good combo - believe me, I've been there!! Happy Manic Monday New Years Eve!